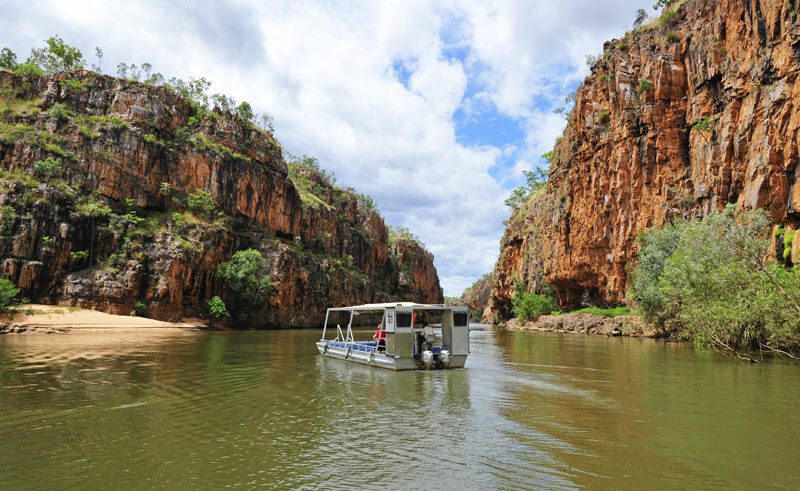 Explore Nitmiluk National Park’s most spectacular site, the renowned Katherine Gorge on this two hour cruise. Katherine Gorge is a series of 13 sandstone gorges carved out by the mighty Katherine River. Learn about the history and traditions of the region’s Indigenous inhabitants, the Jawoyn people, from your knowledgeable guide as you admire the ever changing colours of the dramatic rock faces. Search for freshwater crocodiles and the rare black footed wallaby as you cruise through the towering gorges formed nearly 23 million years ago. It is possible to upgrade to a sunset dinner cruise. Please enquire for further information.